Benz and Cie. Which was formed in 1871 is considered to be on the list of the several important companies that were established by Karl Benz. The patented motor wagon by Benz was quite advanced for its time. By the year 1886, the first-stroke engine had already been developed for Benz. Karl Benz is famous for being the first inventor of a true automobile. This was because the Daimler's vehicle was actually a horse carriage that had an engine with it. However, Benz automobile in 1886 actually had a chassis was designed from the scratch. In 1890, DaimlerMotorenGesellschaft (DMG) was established by Wilhelm Maybach and Gottlieb Daimler. Daimler passed away in 1900 and Maybach was quick to follow by leaving DMG in 1907. At that time, Benz and Cie. And DMG were arch-rivals. As part of their "Agreement of Mutual Interest" after the First World War which was made on the grounds of economic necessity in 1924, and was to be valid till 2000, the company could manufacture and sell the products under their own names. However, this was the first agreement. Eventually, the company became known as Daimler-Benz after their official merger in June 28, 1926. 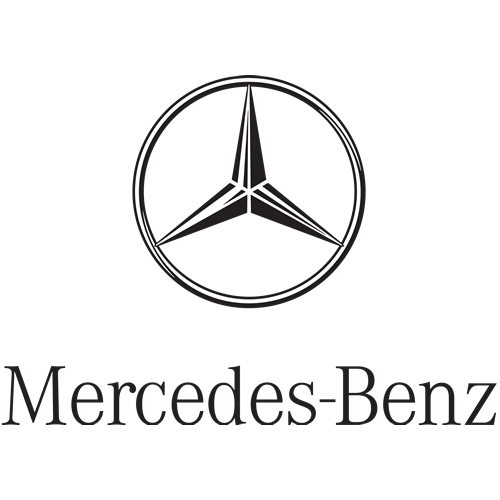 The brand name of Mercedes-Benz was established soon after the merger. The Daimler brand name had been licensed to be used on other automobiles in United Kingdom and France, and therefore, this brand name was not made available to Daimler-Benz. The Mercedes model which was designed by Maybach 20 years ago was given to the DMG's portion of the company. This was because Mercedes had been imprinted on a DMG vehicle to be used in races to honor a daughter of a man. It became the formal name of the DMG model in 1902. Therefore, Mercedes-Benz eventually became the name to be applied to all the newer models of the merged firm. Due to its tie with Karl Benz and the early vehicles produced by him, Mercedes-Benz is considered to be the oldest brand for the production of automobile line. As part of the agreement of the 1926 merger, a new logo was to be created which would include the symbol that contained the name of the two former companies. Gottlieb Daimler had created a three-pointed star for his vehicles to show the capability of his vehicles to be used for sea, land and air. This had appeared on a DMG model in 1909 so it was eventually chosen for the new logo. 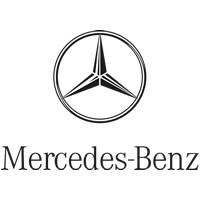 Karl Benz had a traditional laurel wreath symbol which was added to the logo along with this name. However, the plain ring logo, which is commonly seen today, did not start being used until 1937. In 1998, Chrysler combined its business with Daimler-Benz, through the promotion of the "merger of equals". The new business was given the name of DaimlerChryslerAG. At this point, Daimler-Benz bought Chrysler. However, on May 14, 2007, Chrysler LLC and Daimler AG were announced to be separated. This selling was actually a smart move on part of the shareholders of Daimler because it would leave Daimler's car brand known as Mercedes-Benz to be free to do whatever they liked, without having to take care of their unprofitable partner in United States. Nevertheless, Daimler has a minority stake of 20 percent in Chrysler.